David Simon: "The Audacity of Despair: The Decline of the American Empire, and What's In It For You?" Bucknell University and WVIA present a special television presentation of "The Audacity of Despair: The Decline of the American Empire, and What's In It For You?" 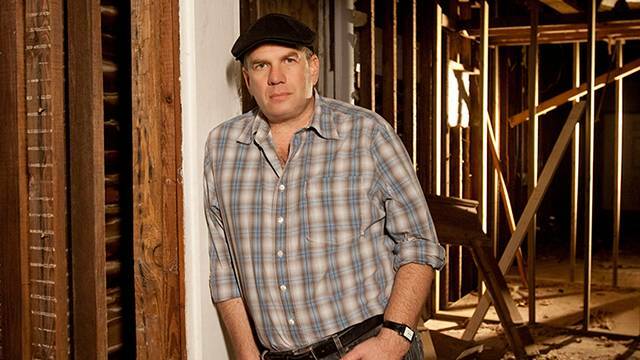 with noted author and screenwriter David Simon on Tuesday March 22 at 7 p.m. on WVIA-TV. The one hour special was recorded at Bucknell University on Thursday, February 18 at the Weis Center for the Performing Arts as part of Bucknell's forum series Revolution Redefined'. In the program Simon discusses how his work intersects with issues of race, class and politics in America. Simon began his journalism career in 1983 as a crime reporter at The Baltimore Sun. He used his experiences as a reporter to write two nonfiction books - Homicide: A Year on the Killing Streets, published in 1991, and The Corner: A Year in the Life of an Inner-City Neighborhood, published in 1997. Homicide is an account of a year spent with the city homicide squad, while The Corner is an account of a year spent on a West Baltimore drug corner. Homicide eventually became the basis for the NBC drama of the same name, which aired from 1993 to 1999 and for which Simon worked as a writer. The Corner inspired an HBO miniseries of the same name that aired in 2000. Simon served as co-writer and producer for the miniseries, which won three Emmy Awards. Simon later created and served as executive producer and head writer of The Wire, which aired on HBO from 2002 to 2008. Set in Baltimore, The Wire explored social and political issues through stories set in a city contending with a fraudulent drug war, the loss of its industrial base, failing political and educational systems incapable of reform and a media culture oblivious to all of the above. Many of the characters and incidents in The Wire were inspired by Homicide: A Year on the Killing Streets. Simon followed his work on The Wire as a writer and executive producer of HBO's miniseries Generation Kill, which depicts U.S. Marines in the early days of the Iraq conflict. He also co-created the HBO series Treme, which follows life in New Orleans after Hurricane Katrina and ran for four seasons beginning in 2010. Treme was nominated for two Emmys. The HBO miniseries Show Me a Hero is Simon's most recent project. It tells the story of former Yonkers mayor Nick Wasicsko, who found himself thrust into racial controversy when a federal court ordered the city to build a small number of low-income housing units in a predominantly white neighborhood. Simon has also contributed to The New Yorker, Esquire and The Washington Post, among other publications. Since 2007, the Bucknell Forum speaker series has featured nationally renowned leaders, scholars and commentators who have examined various issues from multidisciplinary and diverse of viewpoints. Through the voices of renowned agents of change, the current Bucknell Forum series, Revolution Redefined, explores social change and how it has - or has not - evolved over time, as well as how individuals can grow to become global citizens who make meaningful, lasting impacts on society in a variety of ways. Learn more about the Bucknell Forum at http://ww.bucknell.edu/theforum. Encore broadcasts can be seen on WVIA-TV Sunday, March 27, 7 p.m., Thursday, March 31, 8 p.m., Saturday, April 2, 11 a.m., Tuesday, April 12, 7 p.m. and Friday, April 15, 10:30 p.m.